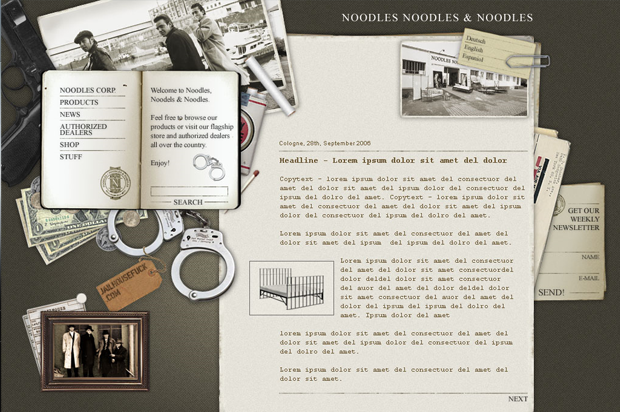 Screendesign der neuen Noodles, Noodles & Noodles Website. Home of the famouse Jailhousefuck Bed. Produziert für Panorama 3000 in Berlin.